Track (no video) of the day has to be what I'd pretty much consider a personal anthem: Alabama 3 - "Woody Guthrie". Lapinity's been reworked. ^_^ I'm quite pleased with this second version - from the point you arrive at the site, you're given the two main categories, Wildlife and Landscapes. It's not quite open yet, but I've removed the site lock - it's now mostly just a matter of finalising pricing, and then enabling purchasing. Right now, it's effectively only a gallery. Next step: advertising! Not usually something I'm much of an advocate for, but, Reddit's system is nicely innocuous, and often quite amusing. By the same token, Project Wonderful's ads I specifically let through, as they often lead to interesting new discoveries. Yay, new LJ icon! This time, courtesy of /u/skrodladodd. So cute an' grumpy. =:D Really happy with how this turned out - they really did a lovely job on it. I Am Bread is indeed coming to iOS! It's currently out on Steam Early Access for OS X and Windows; once they feel it's "done", then they'll get stuck into bringing out the iOS version. 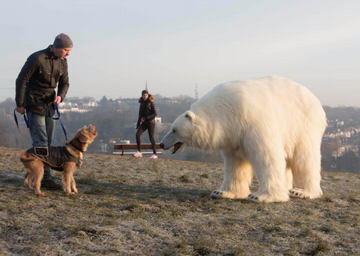 How's this polar bear for some extreme fursuiting? Yes, fully life size, and completely artificial, other than the operators inside. A new (well, to me) comic you might try: Sister Claire. It's actually more of an illustrated story than a comic, really. Very nicely illustrated, and the writing will engage you immediately.. it's simply beautiful, evocative! - I'm only a few pages in, and I'm captivated. ^_^ If you enjoy the spirit of Brave or the gentle pace of Gunnerkrigg Court, this might catch you too. So, I finally got to see Ex Machina, too - I'd originally been intending to catch that the other week, on one of the local fleapit's "bargain" Tuesdays, but that was The Day of the Boilerman. Then there've been interviews, lousy weather.. but as I'd had to miss my intended screening because of needing to stay in for the repairman (who duly failed to appear that day), the roomie very kindly offered to pay for my ticket when I did see it. ^_^ Anyway! The film! I went in with some hesitation, with its connections to Sunshine, which I began enjoying as some well-intentioned sci-fi (overlooking the lousy "science" involved), before it veered off into a knockoff of Event Horizon, and finally into a random slasher. But, no - this is actually heavily a character-driven film, with only three main characters (and not many more in total): the boss of a massively popular search engine company, a programmer who's won a competition to visit him on his ("I was wondering when we'll reach his estate." "We've been flying over it for the past two hours.") estate, and an AI 'bot - the challenge being something of a follow-on from the Turing test, namely, can he prove to his satisfaction that she indeed is really experiencing these emotions displayed in their conversations? I will admit I wasn't overly taken by the ending, but it did sort of follow on plausibly from where the situation had been. It left me with rather a sense of regret, and I'm not quite sure for whom. This isn't a fast-paced film - do not enter expecting Michael Bay! Myself, I'd easily recommend it, on the quality of the performances, the richness of the character interplay, amidst all their terribly realistic flaws. I also happened upon The Machine - and thoroughly enjoyed its take on the nature of life, in a tale of an AI that indeed becomes more than the sum of its parts. Very well acted, I felt - I was emotionally engaged from early on. (And even has its Bad Guy denouement somewhat reminiscent of Robocop - such a delightful individual they were, too) The Anchor Bay BD cover rather screams out that they don't actually understand the film, trying to portray it as a "rise of the machines" scenario, with the tagline "They Rise. We Fall." - yet that barely enters into it all. This is not an epic tale of war, but of what makes us human, and more than that. I suspect I may be the only viewer, at least on LJ, but in case there are others interested, I noticed the new-ish series of Alex Polizzi's "The Fixer" finally resumed a couple Tuesdays ago at 8pm on BBC2, after a curious hiatus following the first two episodes. And, for somewhere else more permanent to visit, this selection of Disneyland rides sounds rather cool. Apparently, ketamine is proving effective against chronic depression. Apparently something of a meme, which I hadn't encountered before: Can I Be Drawn Better? A most lovely example of fourth wall breakage. A rare opportunity for lovers of very, very silly music: with support provided by The Rutles, all (but the lamented Vivian) of the Bonzo Dog Doo-Dah Band, Neil Innes included, to mark the band's fiftieth anniversary. One night only, Friday April 17 2015, at Koko, in Camden. This may well be the final opportunity to see the nearly complete lineup! 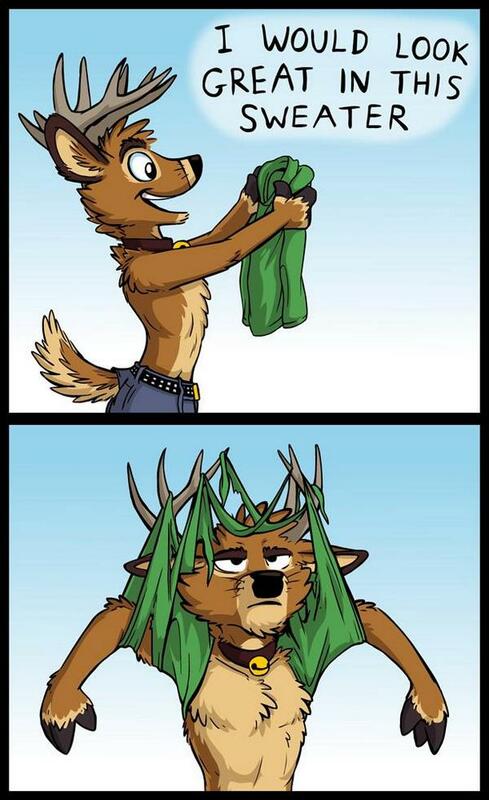 Tirrelous presents one drawback of being a stag. If you know anyone who's struck by CryptoLocker, there may be hope for the files, without paying the ransom. Upload a sample affected file to this FireEye/Fox IT site, and it'll offer a decryption tool for that system. Here's An Illustrated Book of Bad Arguments, available online, as an iOS app (free! ), and on paper. 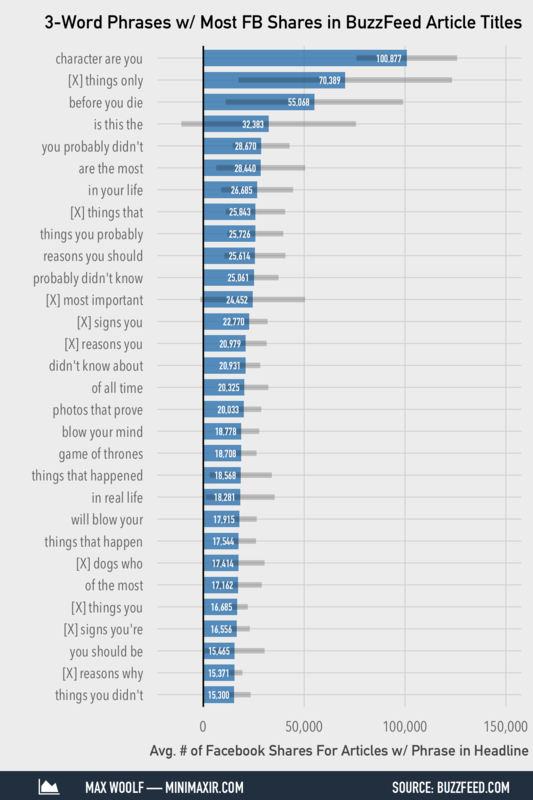 An interesting tidbit of pop culture: here's a chart showing the three word phrases in BuzzFeed headlines that generate the most FB shares. At the top, quite some way ahead of the rest of the pack, are "character are you", "n things only", and "before you die". Here's a beautiful, somewhat abstract, bittersweet comic on the nature of love, by Chiara Bautista. Here's a detailed meterological analysis of the area where Air Asia 8501 crashed. Obviously, there are no answers - that'll come with the analysis of the flight data recorder's information - but still, it's an additional informed insight into the prevailing conditions. For a thoroughly deceptive cocktail, try combining a good cider (Sheppey's Dabinett or Wyld Wood, f'rex) and gin. Balance it well, and you can wind up with what seems like merely an interesting cider, with an intriguing edge, but rather more substantial than it might appear. Nosing around the BBC's site the other day, looking for comedies, I stumbled upon an interesting description: "Dennis feels different - he's an ordinary boy who lives in an ordinary house in an ordinary street, he plays football with his mates and lives with his dad and brother, but he is frustrated by the boring grey world he inhabits - life has never really been the same since his mum left. However, transformation can happen in the most unexpected places. In Raj's newsagent a fashion magazine seems to be calling Dennis - can it be that Kate Moss is really telling him that it's okay for boys to like Vogue? Aided by Lisa, the coolest girl in the school, Dennis creates a whole new persona and puts it to the ultimate test - but can a boy wear a dress, and what will the headmaster, his dad and his friends on the football team think if they find out? Based on David Walliams' best-selling children's book, with an all-star cast including Jennifer Saunders, James Buckley, David Walliams and Kate Moss. The Boy in the Dress is a celebration of creativity, difference, football and fashion. A Christmas treat for the whole family." It appears to be available on iPlayer until about Jan 19 2015. There is now a Princess Bride game for iOS. =:D And it actually looks like there's some love in it. Coo. My Flickr account just rolled past a total of 400,000 views. Onwards to a half-million! 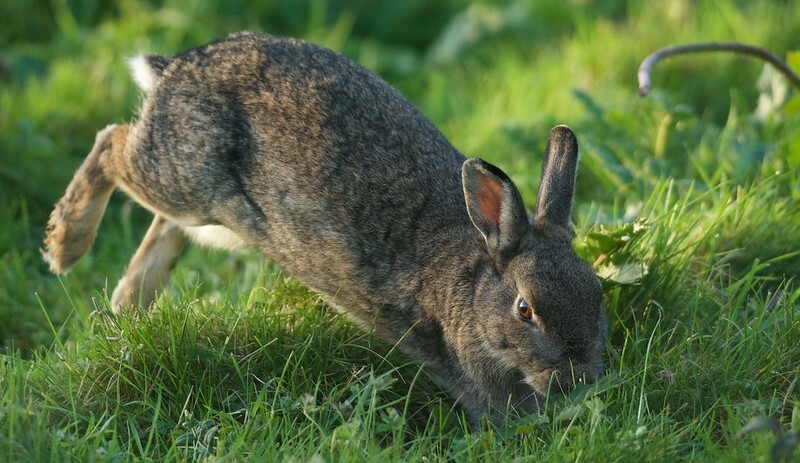 And, with any luck, a sparkling future for Lapinity. ^_^ And no, I haven't forgotten that I could do with picking out one or two photos from my voyage on the Underground on steam, and walking through a normally busy Thames tunnel. Soon! What's your recent favorite music video? Link! Link! Technical minutiae of the day: I was running a VM of Mountain Lion in Parallels 8, under Yosemite (not a supported configuration to begin with - by default, Parallels 8 won't even launch, but that's easily fixed), from a soft RAID of two 3TB drives. It sort of worked, but the networking was dreadfully flaky, with the VM's connectivity dying after several minutes, and also losing any shared virtual drives. As an experiment, I copied the VM over to the internal SSD - and all was well, with connectivity remaining perfectly reliable. Today in unfortunate acronyms, I discovered the existence of a militant group in the Southern Philippines, the Moro Islamic Liberation Front. Did you know I'm a complete idiot? ^_^ A couple months back, my El Cheapo (aka Baofeng) brand 2m/70cm handie's battery ran out, so I put it on to recharge, and - no LED. I'd previously had trouble with charging it, first obtaining a replacement power supply and adaptor, only to realise it was the adaptors they supply that are faulty. I ran over the joints in the charger base with an iron, but to no avail - the LED remained stubbornly off. The other day, a few ember motes managed to coalesce in my mind, and sparked the notion that.. maybe it's the LED that's lying. So, I set it up for a few minutes, to see if it'd gain enough charge to turn on. And yes, it did. Leaving it in for a few hours saw it return to full charge. D'oh! I dare say I'll eventually pick up a "proper" Yaesu/Kenwood/etc at some point, once money's coming in again, but this is fine for getting me back onto the repeaters, as well as listening to the occasional bit of air traffic control. 'Course, the sensible way of being adventurous would be to use a spare system for betas, but my former MBP remains comatose, for want of a $5 microcontroller. =:P (Probably not even that much, though I've no idea if they're even available as parts, short of extracting them off otherwise dead boards) I do want to get it back to life, though - despite being a five year old system, Dandelion was a solid workhorse, and even now, I rather miss that lovely 17" display. Still, Hazel's otherwise a fairly stellar performer - not the cheapest laptop ever, but for heavyweight processing and uncompressed video, it's magnificent. And all in a slender, light package with the only moving parts being the fans. I admit, I'm curious to see how Windows 10 shapes up. ^_^; Microsoft's become much, much better at UX than in the dark days of Windows 3.1 or 95. 7 I could use and not feel queasy. =:) Haven't really had anything to do with 8. I'm sympathetic to the idea of giving the OS away, as that encourages people to stay current, which makes their jobs that much simpler, with fewer people on years-old OSs to support. Neat. I wonder how much that one cost. Lives of the Monster Dogs will remain open through until the end of January 2015. Nice. :) I'm lucky to be old enough to still get the 50 L$/week free account stipend; not that I really use it for much, but it allows me to occasionally buy stuff on the SL marketplace without having to invest real money. I daren't even contemplate the cost of the bear. ^_^ All that painstaking work of applying the individual fur strands, let alone any other aspect of its construction.. ye gods and little fishes, there's some real skill on show there. And in the performance, of course - the best suit in the world's useless without performers to bring it alive. I wish I'd posted this entry much sooner. Or even just a bit of it, so I could've had notice of LotMD out before it closed. *sigh* Still, there might be hope for me becoming rather more regular with LJ. Agreed about performers — and yeah, I'd imagine the bear must've cost a lot, most likely somewhere in the five-digit range. Don't sweat it. :) It would've been nice to know, but as they say — Tel Aviv. Oh, I didn't know SL used to offer Lifetime Accounts. When was that? I'm not sure I'd have gotten one depending on how much they were then, but in retrospect it would've been cool. *looks* Hah, yeah, I know what you mean! Anyhow, as far as SL homes go — it'd be great to have something you could decorate to your heart's content. I think you can only buy (that is, rent) Homestead sims when you already have a full sim, isn't that true? I don't buy much at the Marketplace either – the recent redecoration projects at my stateroom and Moth's place were outliers, in a sense –, but it's nice to have the ability, just in case. That said, I agree that the SL Marketplace website has... room for improvement, shall we say. I quite enjoyed Big Hero, but it had a lot of standard Disney tropes: parents are dead, betrayal by adult, etc. There's a surprising amount of death in Disney stories. It's coming out on DVD here later in the month. Amateur radio FTW! I have a Yaesu FT-530 dual band that's been modded by a factory rep for out of band use. At the time I was working for the police department and I could talk to dispatch with it, though the signal was no where near as good as the Motorola monsters that the officers carried. Problem is that poor radio is now some 20 years old and the ink has worn off a lot of the keys, so it's a bit of a guess as to how to program it. Maybe I'll bring it to Europe next year, that could be interesting and might prove useful. Oh: I was DELIGHTED Friday to learn that BBC America is going to start airing Steven Fry's QI! I've been wanting to see that for ages! Of course, my stupid DVR only allows me to load 50 programs to record, so I'm going to have to prune that list a bit. Death.. can be a bit of a cheat in scripting, but handled with respect - well, then you can wind up with the death of Mufasa. A powerful moment in animated film, and I have to respect the writers for going through with that, knowing just how much of an impact it would have on the audience. I suppose even an animated death can help prepare us for our own real losses, in some modest regard. Hmm. I wonder how difficult it'd be to have some replacement keycaps made up.. could have them fabricated in any color you chose, conceivably - potentially even a different material. Mm, definitely worth bringing along! ISTR the license agreements are all automatically reciprocal, so you might not have to file any kind of request, just adding a prefix. Wow, QI hasn't been part of their fixture before? That seems like a very odd oversight/omission. It's one of the very few game shows I'll watch these days (I confess, I used to be much more into them =:).. perhaps the only one, come to think about it. Perhaps just downloading from Usenet or torrents would be simpler? Not strictly kosher, but within legitimate use.